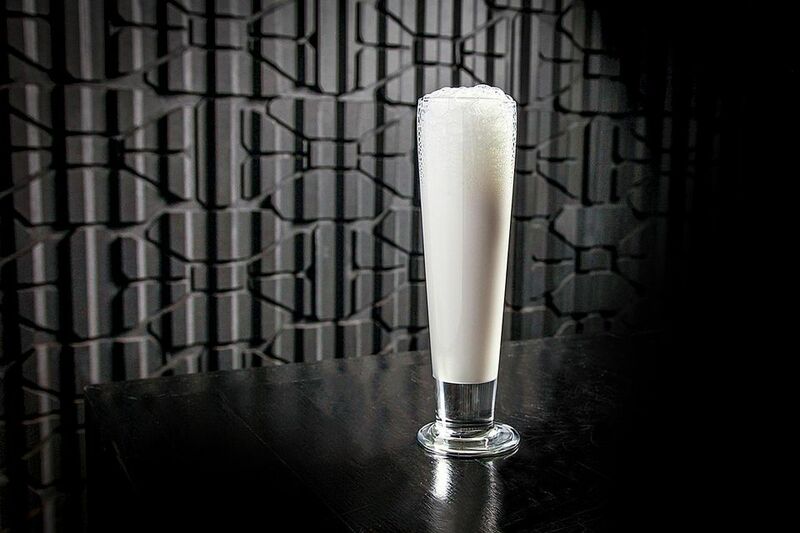 A very interesting and unique cocktail, the Somrus Fizz is one that you will want to experience sometime in your life, particularly if you are a fan of Indian cuisine. It was created by Benjamin Newby, Somrus’ brand mixologist in the spring of 2015 and it is a delicious drink. I have recently found a new appreciation for Indian food and have found this fizz to be a perfect follow up to the spiciest of curries. It has a cool, refreshing appeal and a number of somewhat more exotic elements that contrast those traditional spices. The drink's main feature is Somrus, an Indian cream liqueur with a few traditional spices of the country (more on the liqueur below) and that is paired with gin and limoncello. The orange blossom and rose waters are great accents and the egg and soda give it a fizzy creaminess that makes drinks like the New Orleans Fizz so appealing. Notice that this recipe does not rely on the seemingly endless shaking required for many egg cocktails. Instead, it takes an easier route and uses an immersion blender to create a stiff, creamy liquid that, if done properly, should make a straw stand up straight. It's a good shortcut that may save your arms, though if you want to shake, feel free as it's always good to use the bar as a workout as well! Buzz the mix with a hand blender until ice has diluted. Empty contents into a pilsner glass. Add a single straw in the middle of the drink and it should stay suspended. Somrus - The Original Indian Cream Liqueur - is in an Indian cream liqueur made from a blend of Caribbean rum and 'pure dairy cream.' It is flavored with cardamom, saffron, almond, pistachio, and rose. A great cream liqueur for cocktails, Somrus can be substitute for other cream liqueurs such as Baileys or RumChata (though each of these have a unique flavor). Somrus can also be used in baking or as a dessert topping and it makes an excellent addition to a cup of chai. How Strong Is the Somrus Fizz? There are many factors that play into exactly how strong a finished Somrus Fizz will be and we can only make a rough estimate. With an 80 proof gin, a 54 proof limoncello, and about 1 ounce of soda, the drink would weigh in right around 18 percent ABV (36 proof). This is about average for a mixed drink.